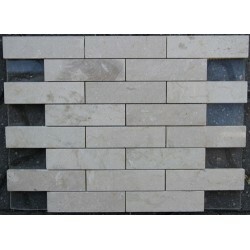 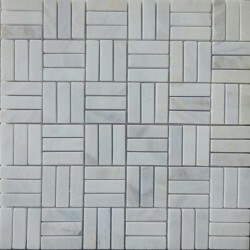 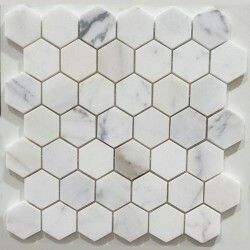 Natural Carrara Marble Mosaic Tile finished in honed, carefully cut in 48x48x10 mm hexagons and assembled in sheets of 300x305 mm. 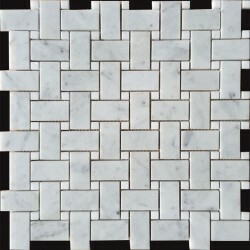 Carrara marble originates from the county of Italy. 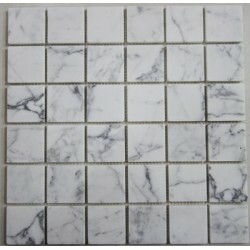 Carrara is a natural stone which could easily be recognised from its veins. 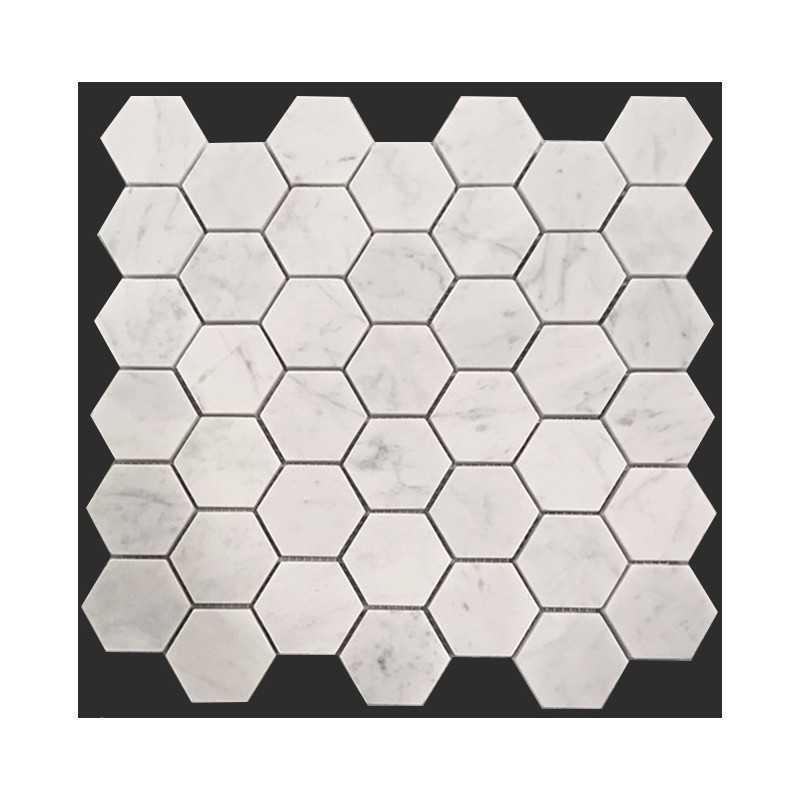 White Carrara marble can be contrasted with Nero Marquina marble or Pietra grey limestone to add texture and create a sophisticated space in your home. 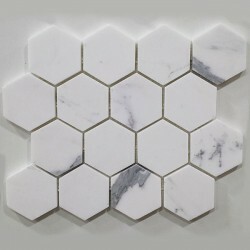 Initially the use of Carrara marble was hugely promoted by the Romans who had an extremely wealthy and powerful empire. 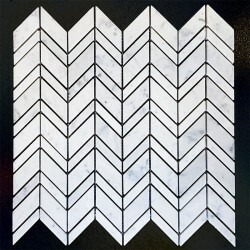 It was their desire to create timeless & luxurious infrastructure as well as their unique style of architecture which led to the use of Carrara marble. 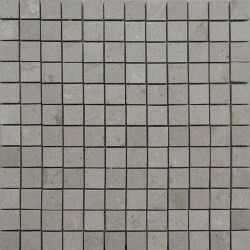 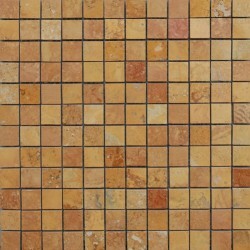 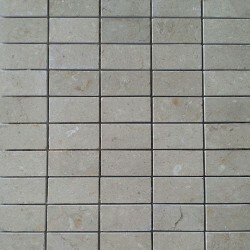 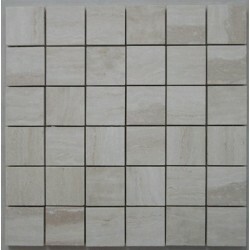 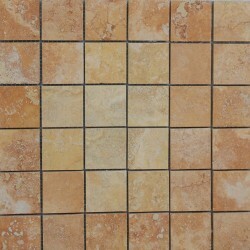 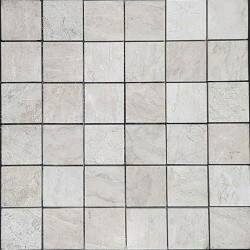 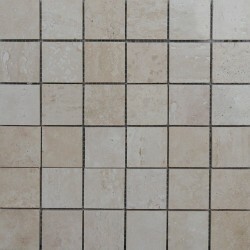 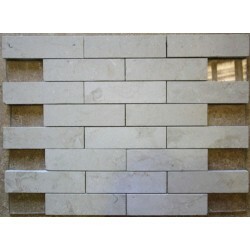 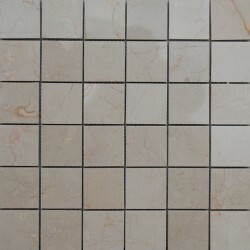 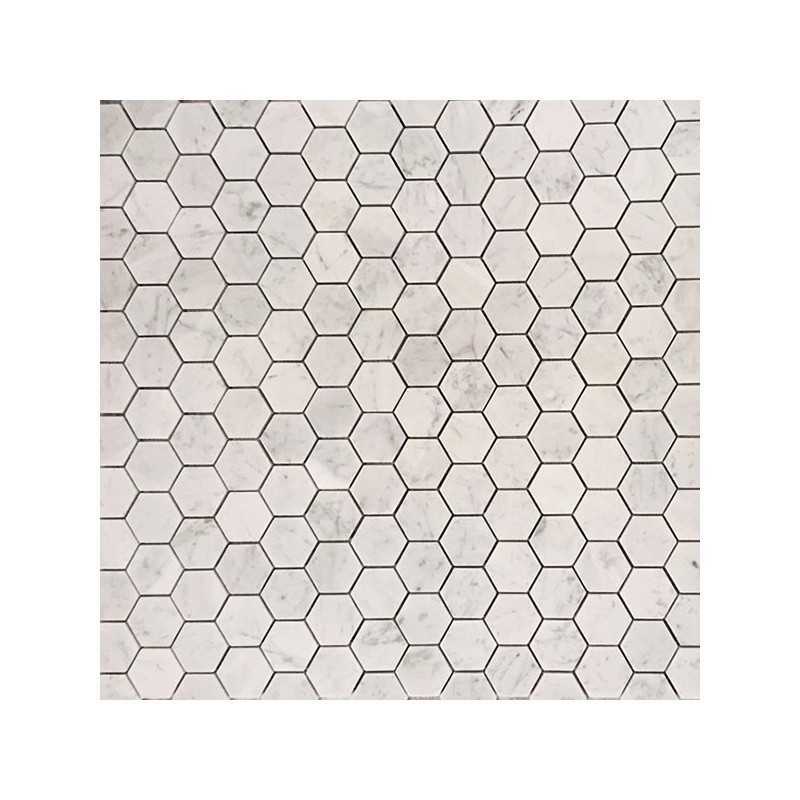 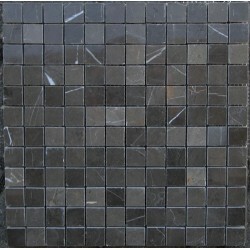 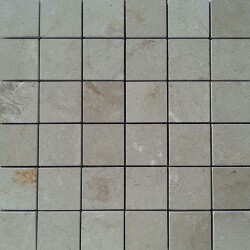 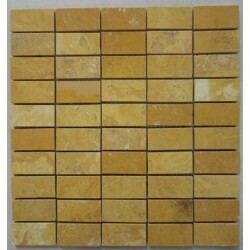 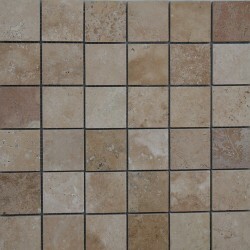 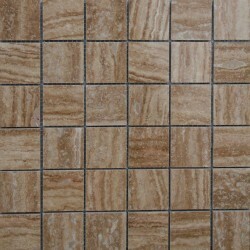 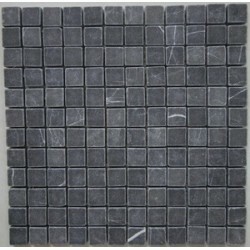 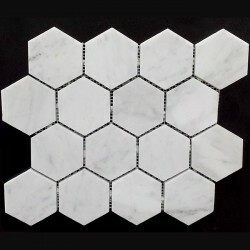 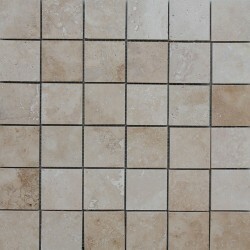 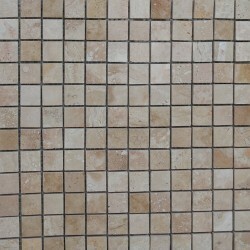 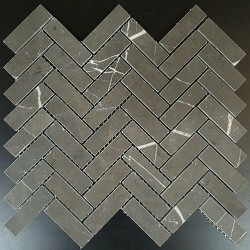 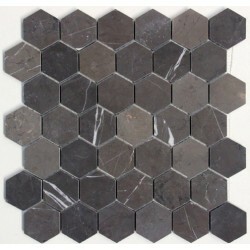 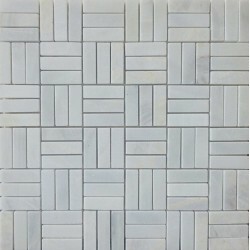 Carrara hexagon honed marble mosaic is an elegant product which is mainly suitable for interior applications.